You've added Galloping Goose Regional Trail, The Maritime Museum of British Columbia, Salt Spring Island Cheese Company, and other attractions to your itinerary. Ogden Point Terminal & Breakwater and Christ Church Cathedral are good opportunities to explore the local culture. 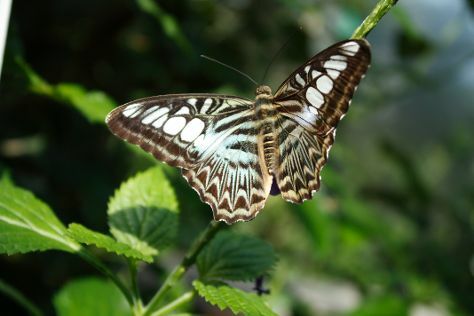 Discover out-of-the-way places like Victoria Butterfly Gardens and Clover Point Park. There's more to do: ponder the world of politics at Government House and don't miss a visit to Government Street. To see reviews, where to stay, other places to visit, and other tourist information, go to the Victoria tour planner. Calgary to Victoria is an approximately 4-hour flight. You can also do a combination of car and ferry; or do a combination of bus and flight. The time zone difference moving from Mountain Standard Time (MST) to Pacific Standard Time (PST) is minus 1 hour. When traveling from Calgary in August, plan for little chillier days and about the same nights in Victoria: temperatures range from 22°C by day to 15°C at night. Finish your sightseeing early on the 23rd (Wed) so you can fly to Nanaimo. On the 23rd (Wed), stroll through Rathtrevor Beach Provincial Park and then admire the sheer force of Little Qualicum Falls Provincial Park. On the 24th (Thu), you'll have a packed day of sightseeing: make a trip to Chemainus Festival Of Murals Society and then get interesting insight from Tours. To see ratings, maps, more things to do, and other tourist information, read Nanaimo trip itinerary maker. Getting from Victoria to Nanaimo by flight takes about 1.5 hours. Other options: drive; or take a bus. Traveling from Victoria in August, you can expect nighttime temperatures to be somewhat warmer in Nanaimo, with lows of 19°C. Wrap up your sightseeing on the 24th (Thu) early enough to travel back home.